View More In Tablet Accessories. The Fintie Folio Case offers secure protection for your tablet while adding a range of versatile options. The soft microfiber inner liner helps safeguard the tablet against scratches and damage.The Fintie Folio Classic Leather Case comes in a variety of bright, fun colors, the widest selections to suite your taste. It offers an ideal way to protect your tablet wherever you go. This case is compatible with the Yuntab K107 / K17, BENEVE 10.1, Elecost E10.1, Tagital 10.1, Wecool 10.1, YELLYOUTH 10.1 BEISTA K107 / M107, Batai 10, NeuTab N11 Plus (2017 Edition) 10.1 Inch Android Tablet. Available in a variety of bright and fun colors. 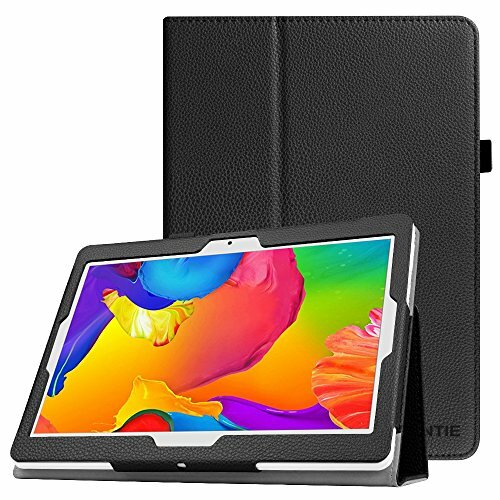 This case is compatible with Yuntab K107 / K17, BENEVE 10.1, Elecost E10.1, Tagital 10.1, Wecool 10.1, YELLYOUTH 10.1 BEISTA K107 / M107, Batai 10, Lectrus 10 inch, NeuTab N11 Plus (2017 Edition) 10.1 Inch Android Tablet. Premium synthetic leather exterior and soft microfiber interior. Snug fit, lightweight, protective. Perfect cutouts for the camera, speakers, stand and other ports. If you have any questions about this product by Fintie, contact us by completing and submitting the form below. If you are looking for a specif part number, please include it with your message.